Hey babes! 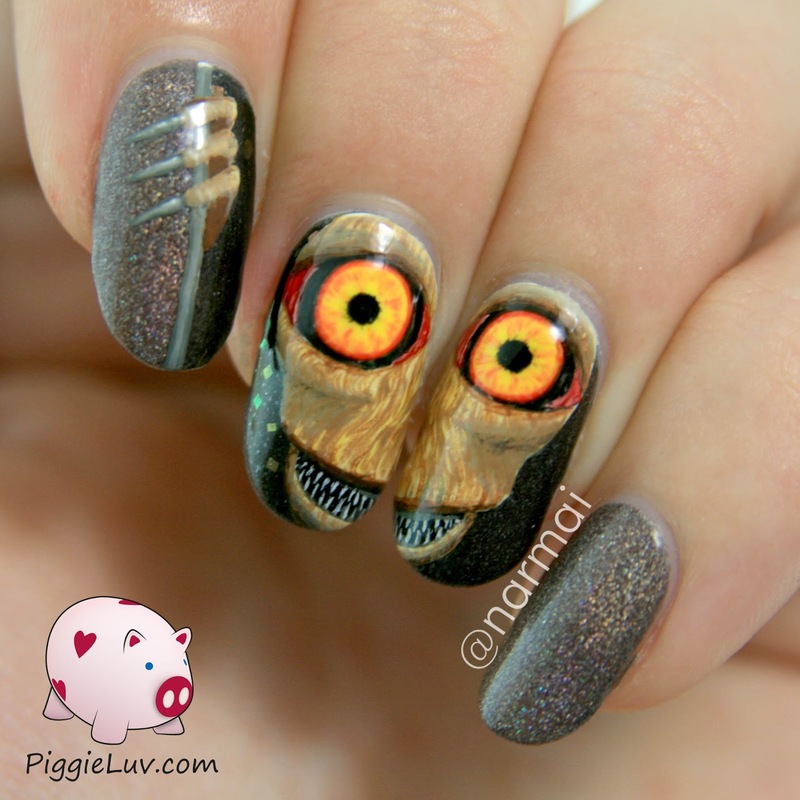 This is the last of the Halloween manis, so soak it up. 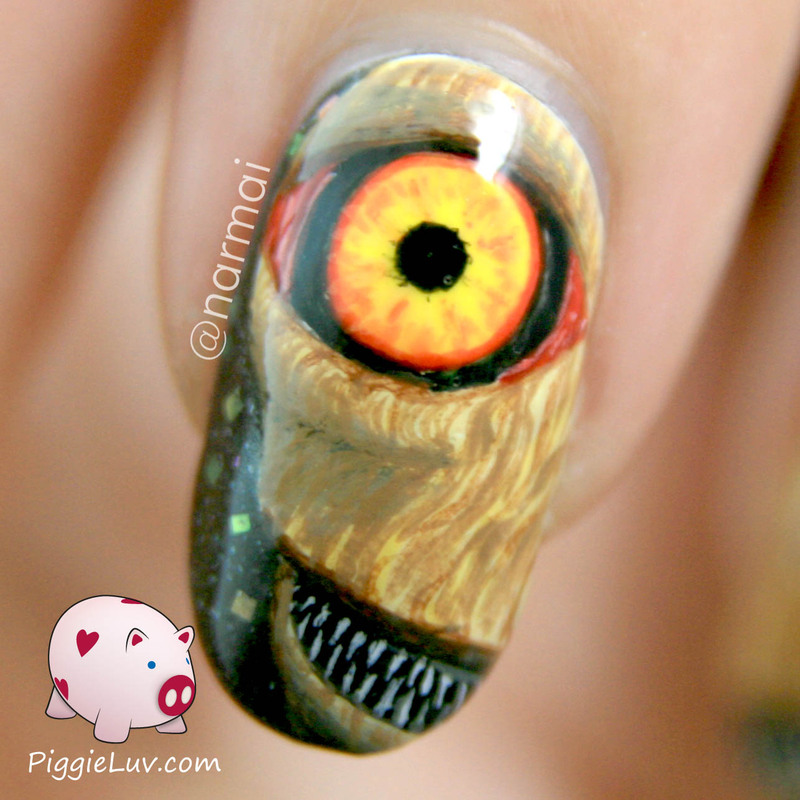 This might be the scariest nail art I made, besides the scary monsters under the bed, and the creepy monster shadow. For this mani, I used Indigo Bananas Medusa Transducer for the dark background behind the monster, Superchic Lacquer Mink for the holo foreground, and Serum No. 5 Solar Power for the eyes. The rest is acrylic paint. 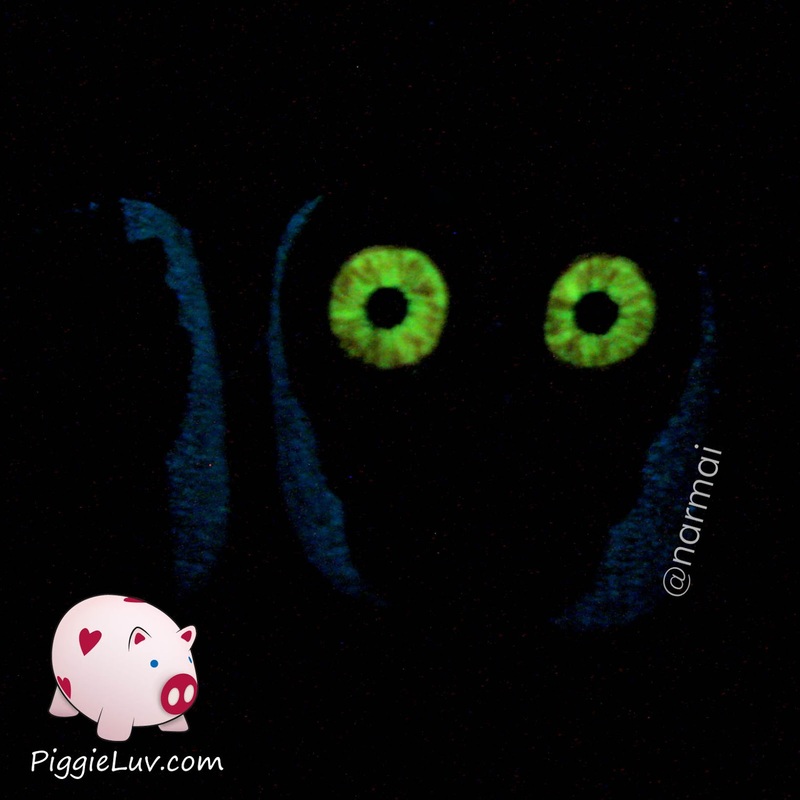 You'll want to see the glow shot! I'm really proud of his skin! That was the hardest part for me to paint, because I wanted his face to have depth and curves and I needed to suggest those shapes by how I painted. I started out with the basic shape in white, painted a cream color over it and made lines using two shades of brown. It took some trial and error, and painting over it again, but I like it! I like his 'cheekbones', because those were the hardest! Hey that looks like E.T.! Dude creeps me out though... With all of this Halloween stuff, I've been trying to get my nail art done before the sun sets, so I can take pictures in the daylight and take the ghouls and the monsters off before bedtime. With this one, I was too late. 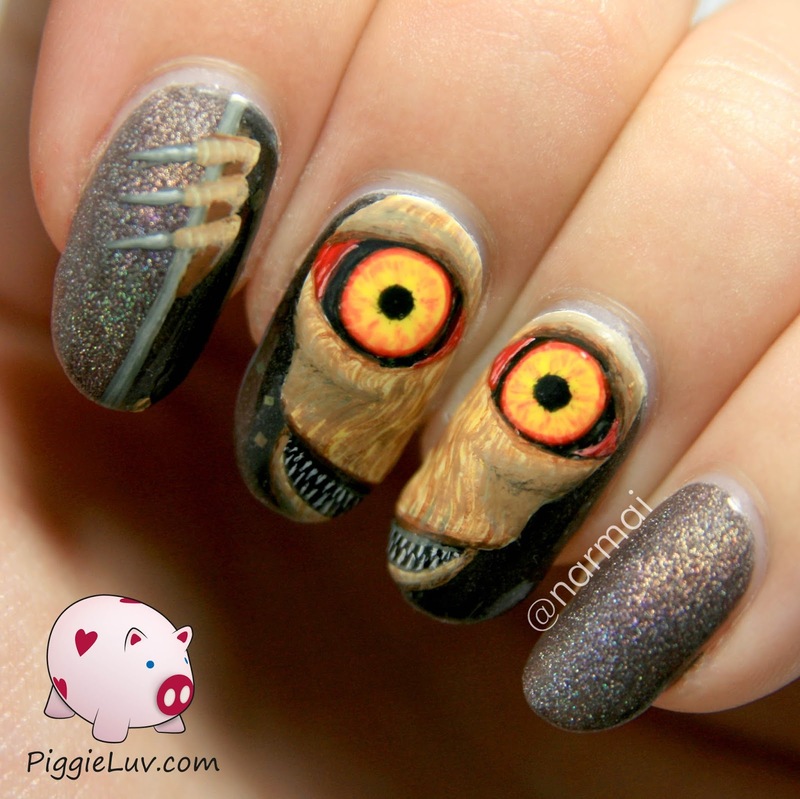 I took these pictures in my light box because NO WAY I was going to sleep with these creepy-lookin' eyes on my nails! I won Mink by Superchic Lacquer a year ago in a giveaway, and I've really come to depend on this polish. I find myself reaching for it often, it's a gorgeous base for nail art, like my medusa nails from a while back, and just an amazing polish to wear as a plain mani. My friend An from The Polished Hippy said that it's so funny how we always stare at our manis.... and this one stares right back! It is a creepy looking dude, isn't it? And my friend Verity, who is a downright nutcase (love ya! ), from Bionic Hips And Fingertips, she called him CUTE. No way! Show of hands: who thinks he's cute?